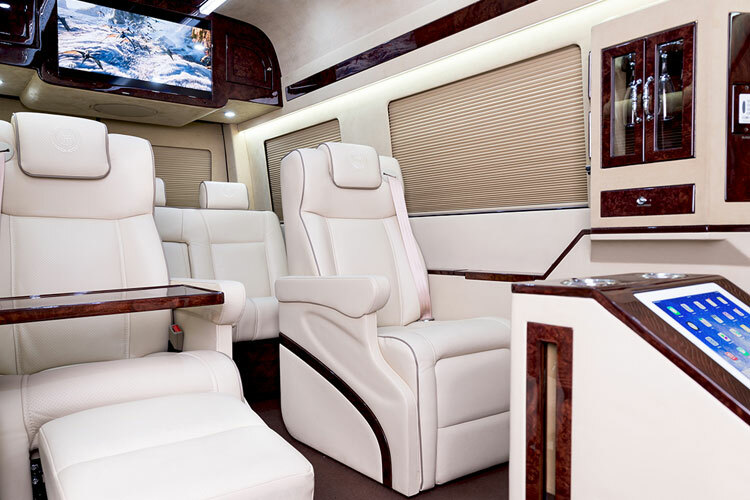 We are proud to welcome the Mercedes Diamond Sprinter into the Prestige Motorcoach family of van conversions. 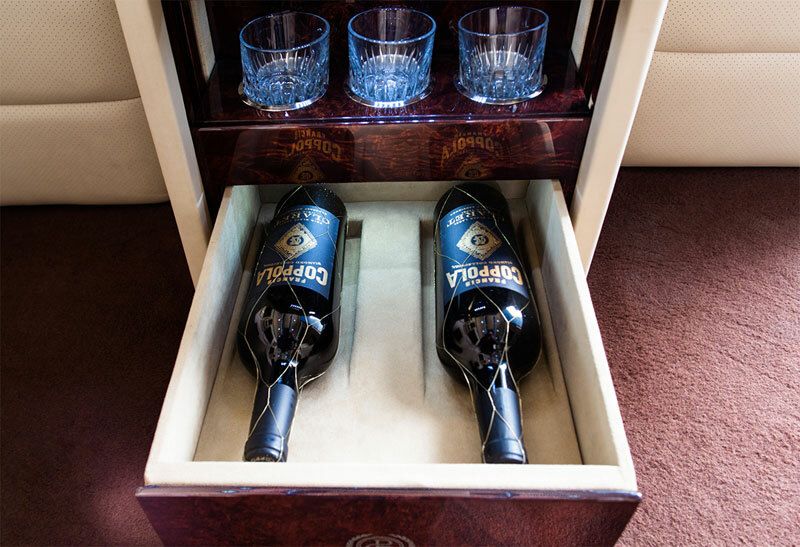 Mercedes is a globally recognized symbol of excellence and class, making it a perfect pairing with PMC. 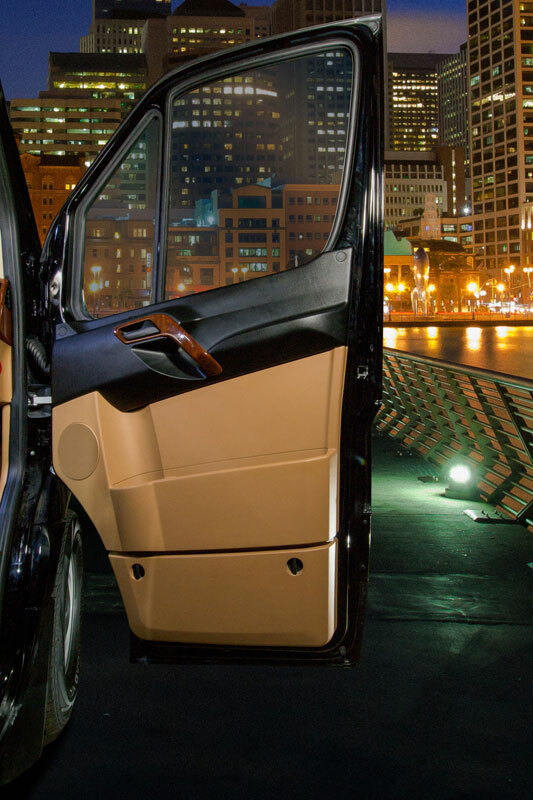 The Sprinter is an exceptional vehicle built with power and efficiency. 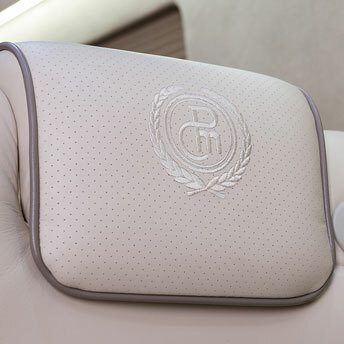 Get your business done in luxury. 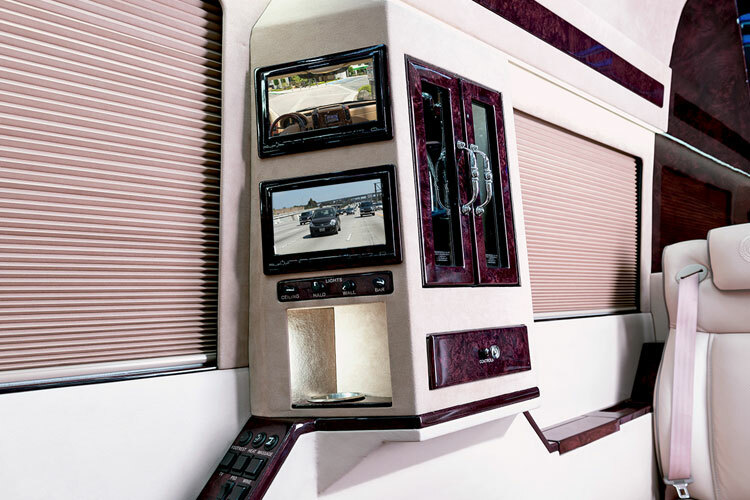 Whether you entertain clients or need to work on your documents while on the road, there is no better equipped coach. 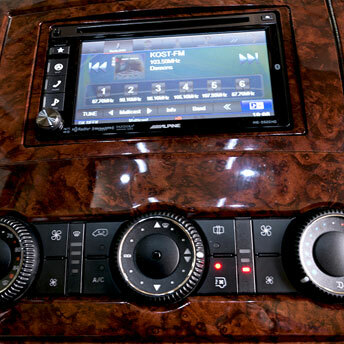 The Mercedes Diamond has all of the bells and whistles from computers to PlayStations®. 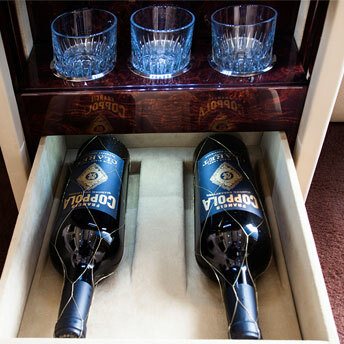 All of the luxury and quality that you can expect. 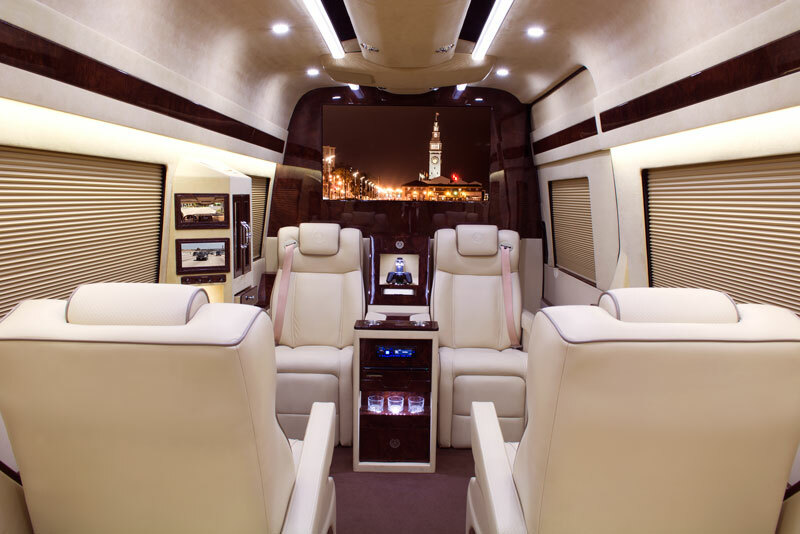 Its spacious size ensures passengers have abundant space. 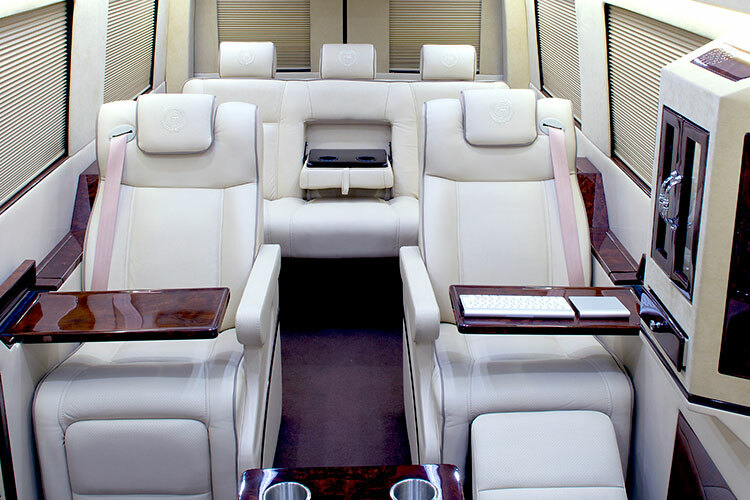 It is a vehicle suitable for long and short trips, for both leisure and business travel. 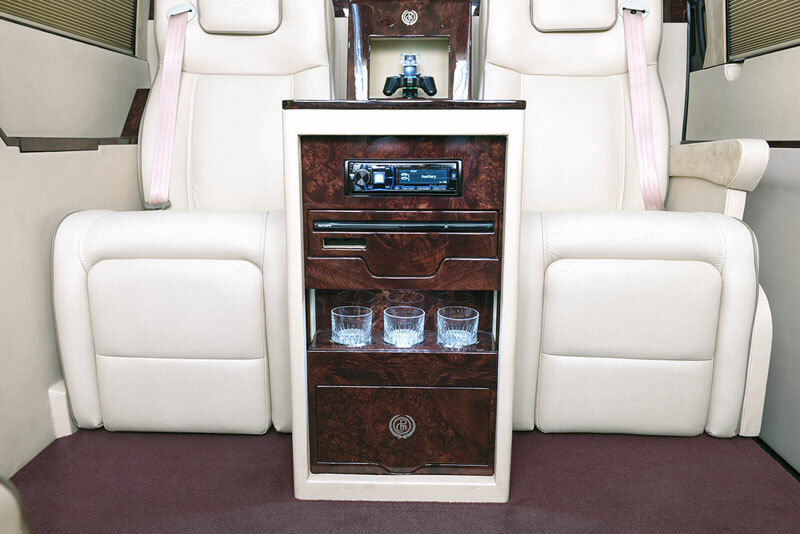 Here at Prestige Motorcoach we have thought of everything. 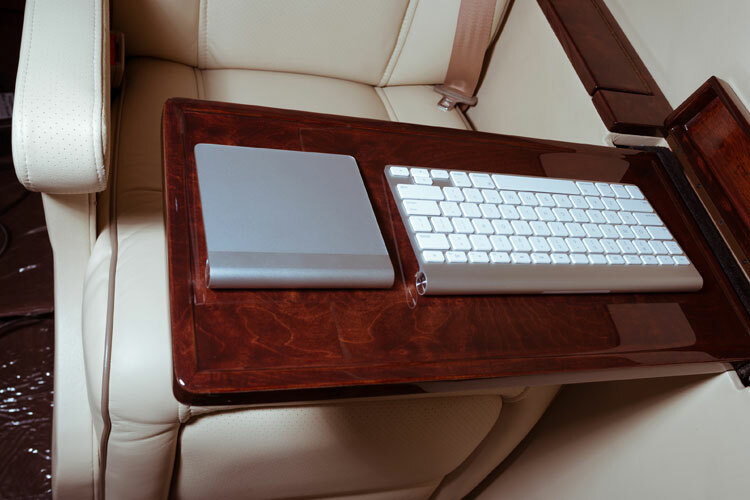 Pull out the custom folding piano finish table and the Apple keyboard from it's hide-a-way compartment. 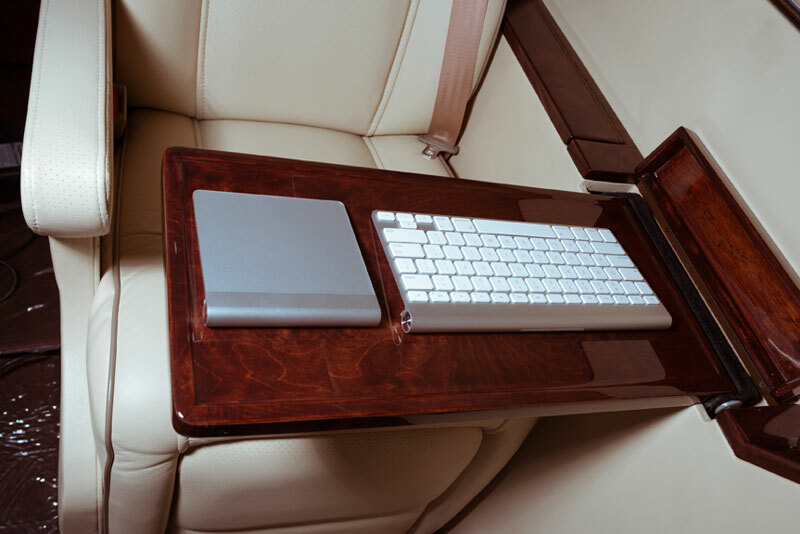 It’s okay to answer a few emails in luxury. 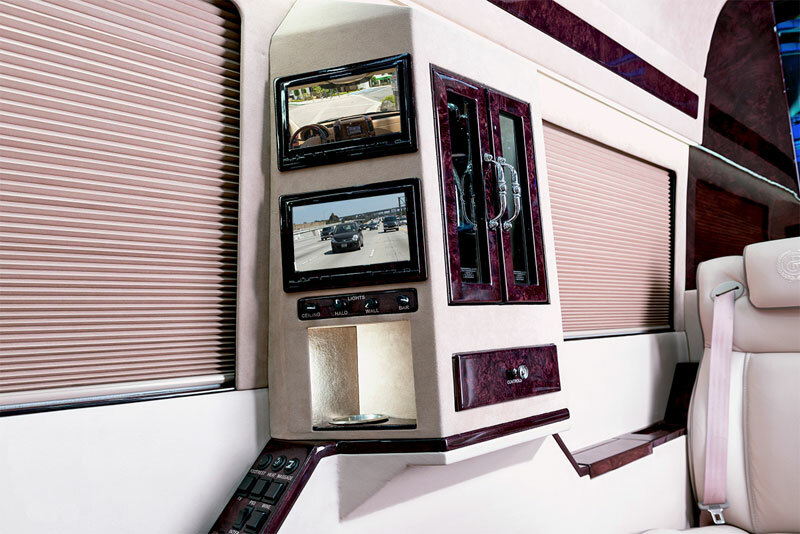 With front and rear cameras monitoring the outside of your vehicle you’ll always know where you are, even when the divider is up and the shades are down. 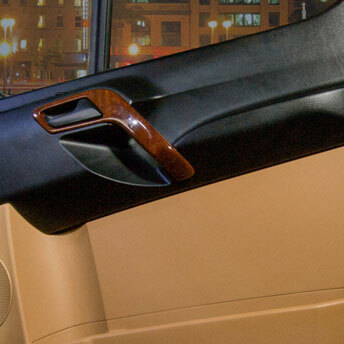 See what your driver sees and you be the commander from the comfort of your plush Captain's chair. 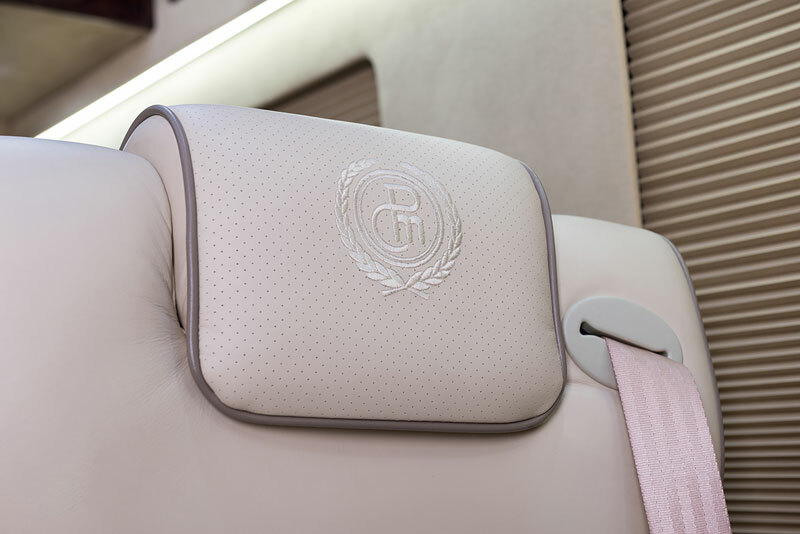 Plush seats with French stitching and embroidery. Entertainment is at arms reach. 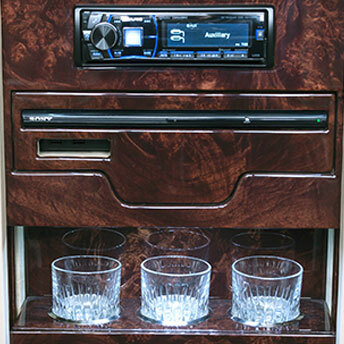 Wine drawer automatically opens with a push of a button. Hydro-dipped to match the rest of the interior trim. 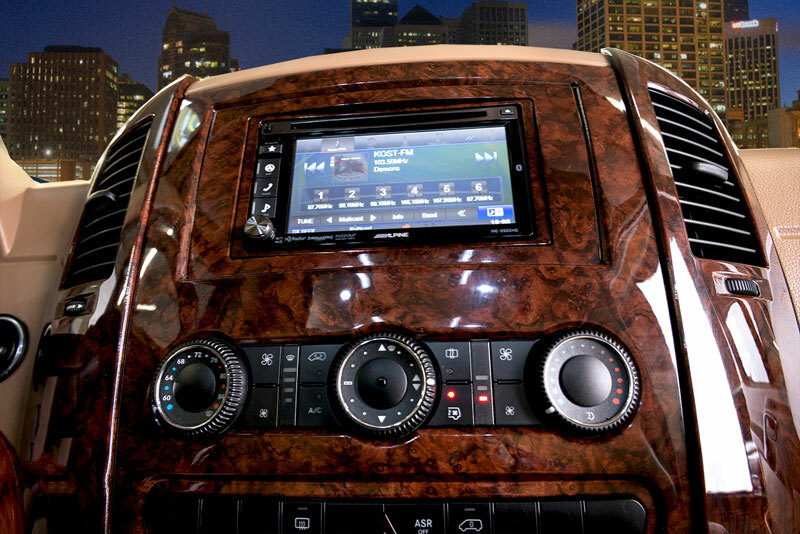 Beautifully appointed with wood grain finish. 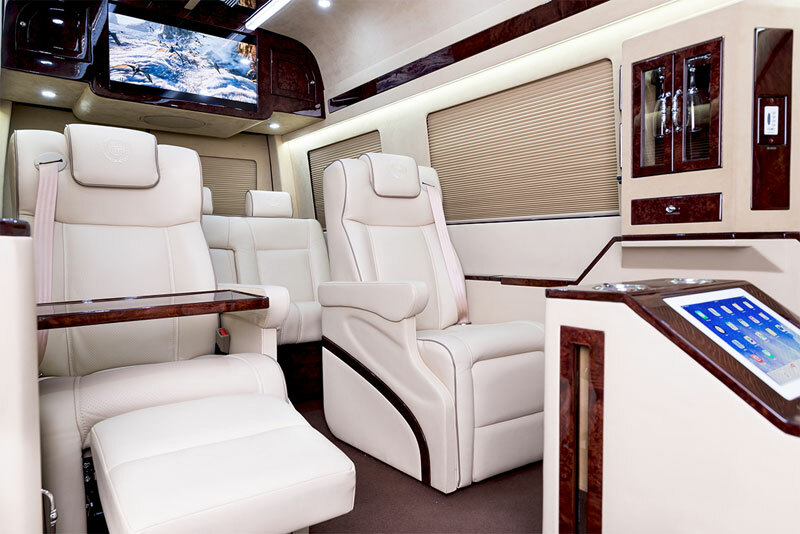 © 2015 Prestige Motorcoach Corporation, All rights reserved.